According to the Biaggi’s Ristorante Italiano Facebook page, the restaurant’s Eden Prairie location has closed after 14 years. Minnetonka notched its 20th win of the season, pulling away from a 1-1 tie through one period, defeating host Buffalo 7-3 on Jan. 30. The Minnesota Vikings say they still haven’t determined their future plans for Winter Park after recently announcing the purchase of the former Northwest Airlines headquarters property in Eagan. A 30-point lead at halftime was impressive. Holding visiting Trinity of River Ridge to 12 points in each half was even better. For many years the majestic presence of cottonwood trees tantalized the eyes of drivers at the hub of Chaska as a proud beacon for Firemen’s Park. Sadly, those trees were cut down. State Senate District 47 Republican candidates Jake Coleman and Dr. Scott Jensen squared off in a 90-minute debate Thursday night before a large audience in Waconia. CCYBSA 2016 — Register Now! I’ve had the opportunity to meet and talk with Dr. Scott Jensen, who is a candidate for the Republican endorsement for the State Senate District 47 seat previously held by Julianne Ortmann. Two men have been charged in connection with a Craigslist cell phone sale turned attempted robbery that resulted in at least 14 rounds being fired outside of Shakopee’s Walmart store Tuesday evening. 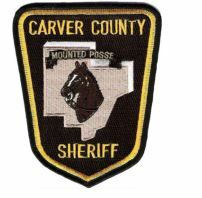 Apply today if you are interested in becoming a volunteer Mounted Posse with the Carver County Sheriff’s Department. Applicants must be at least 18 years of age, possess equestrian skills, own their own horse, and have an interest to serve their community. To apply, please visit the Carver County website at http://www.co.carver.mn.us/departments/county-sheriff/volunteer-services/mounted-posse. Do you enjoy helping those in your community while being challenged to go out of your comfort zone? 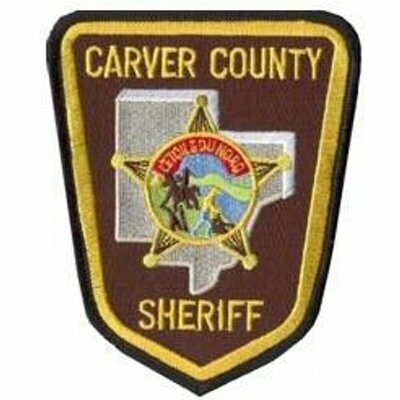 If so, apply to be a volunteer Reserve Deputy with the Carver County Sheriff’s Office. (Read more…) Applicants must be over the age of 18, have an interest in law enforcement related activities, and want to help their community. To apply, please visit the Carver County website at http://www.co.carver.mn.us/departments/county-sheriff/volunteer-services/reserves. Six skiers in the top 15 helped Chanhassen to its best finish on the hill this season, as the girls Alpine ski team took second place in the final Metro West Conference event Jan. 26 at Afton Alps.